This time of the year can be extra challenging, especially for kids to avoid all the sweets and candy everywhere. I found that when the first sweet craving is satisfied it is so much easier to stay away from the rest. 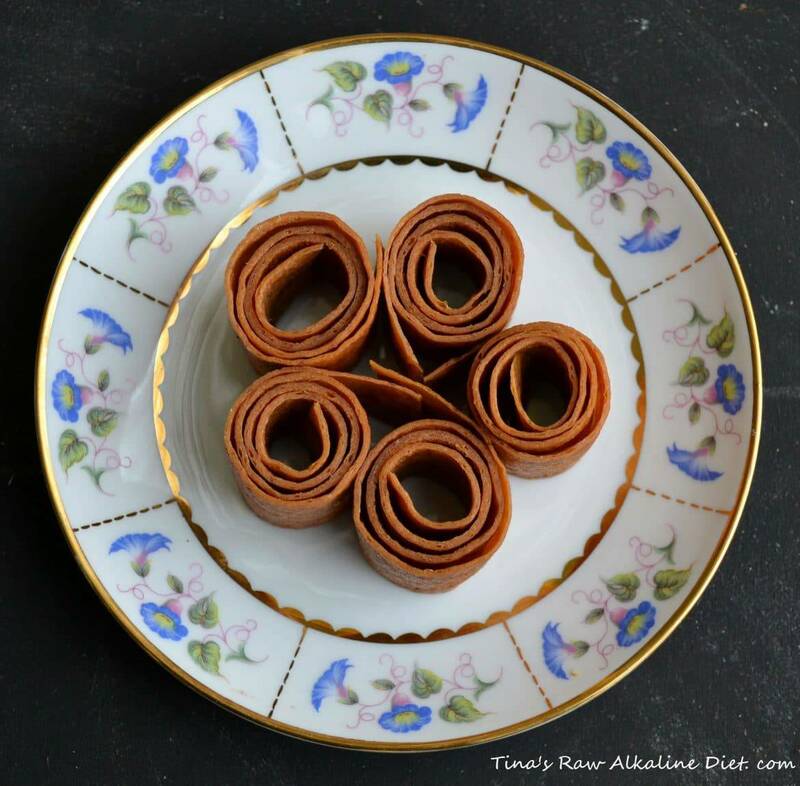 When I give my kids fruit or home made sweets like these fruit rolls the healthy raw candy, bars or cakes they forget about asking for other sweets. They are tasty and look like candy. They are quick and easy to make in any fruit or fruit combinations you prefer. They are dehydrated or can be made in a regular oven on a low setting with the door open. This of course uses a lot more energy than a dehydrator! 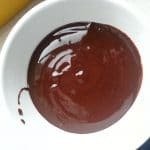 Blend all the ingredients fine en spread it out with a spatula over a dryingsheet or bakingsheet when using a regular oven. Dry for about 16 hours at 105F untill dry with no wet spots, these have a different and darkercolor. If too dry brush it with a little water. It should be pliable. The dough can also can be dried in a regular oven on the lowest setting with the door slightley open, just keep watching it. It is of course much more economic to use a dehydrator but for now and then it can be done! The roll should not have wet spots, it can grow mold when wet. 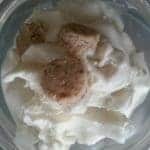 When dry it can be kept for a month or frozen for several months. 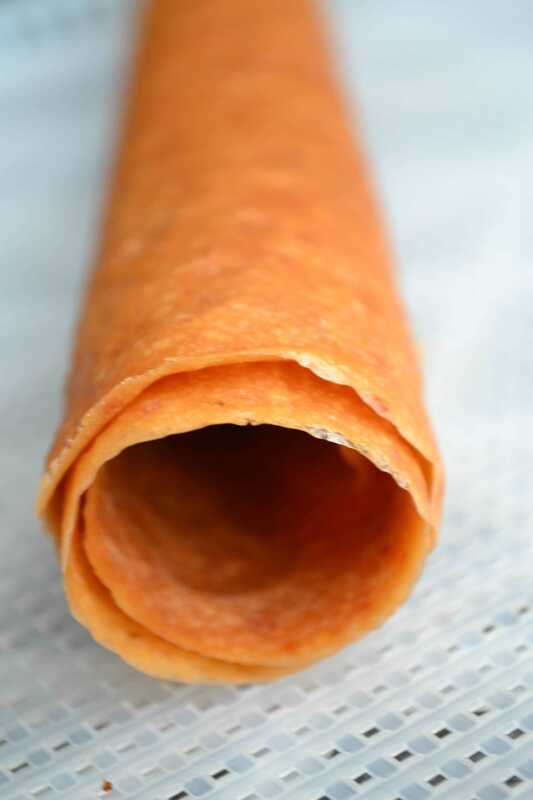 These are the common ingredients for store bought fruit leather……..sugar, glucose/fructose syryp, dextrose, corn syrup wheat flour, acidifier, E100, E131, E171, artificial colorings, semi hydrogenated fats…….. 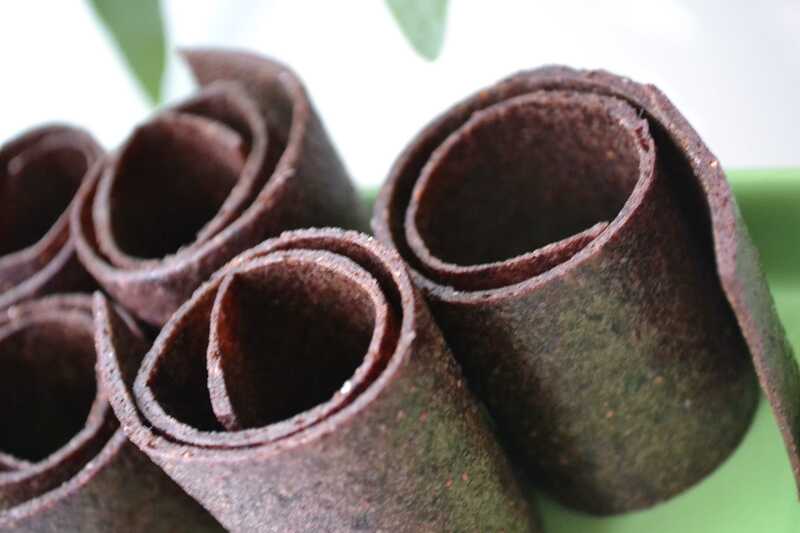 The fruit leather can be cut in strips, when rolled in parchement paper it can be transported and kept without sticking to each other. If you would like to keep it longer is it better to roll it in plastic foil and store it in an airtight container. These fruit rolls contain only fruit and condiments like vanilla, ginger, mint, cinnamon, lemon, lime, orange, etc. These are made with blueberries and banana, beautiful color! 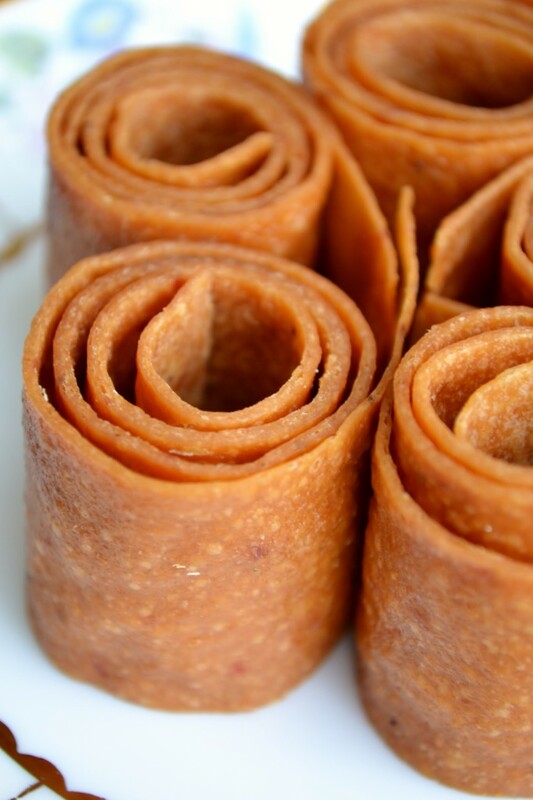 Apples and applesauce keep the fruit leather soft and pliable, so a little apple can always be added. It is great to experiment with tastes, colors and structure! The little ones, and big ones, can enjoy these from time to time without guilt.